David Chapman Berry was born July 23, 1942, in Vicksburg, but he grew up in Greenville. He received a B.S. at Delta State College and then, after turning down medical school, he worked a year for General Motors. He served as a medical service officer for three years in Vietnam, where he wrote his first volume of poetry, Saigon Cemetery (1972). 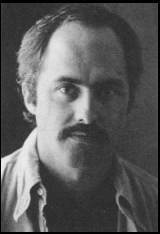 After he returned home, he enrolled in graduate work at the University of Tennessee, where he received a Ph.D. in English in 1973. He is now an English professor at the University of Southern Mississippi. Saigon Cemetery. Athens: University of Georgia Press, 1972. Jawbone. Birmingham: Thunder City Press, 1978. Divorce Boxing. Easter Washington University Press, 1998. This page has been accessed 3513 times. About this page counter. Last Revised on Monday, November 9, 2015, at 04:34:59 PM CST.